Some good newses to celebrate & projects to update! Firstly, the filmpoem by Helmie Stil of my piece The Desktop Metaphor won the Jury Award at The Weimar Filmpoetry Festival! There’s more information about that here – and you can watch the piece at that link too. Helmie did a wonderful job with the poem; I love the film’s style and rhythm. In any given year, over 600 children In Gloucestershire are unable to access mainstream schooling due to conditions like cancer, eating disorders, epilepsy, and orthopaedic, neurological and respiratory disorders. The majority of these young people are aged between 14 and 16. Working with the Gloucestershire Hospital Education Service (GHES), Cheltenham Festivals is giving every KS4 student the opportunity to work over time with a writer-in-residence, either in person or via a digital learning platform. This is a wonderful opportunity to bring together my work with poetry, writing for wellbeing, young people and working in inspirational settings…Including museums, galleries and – hopefully – some which inspire the group about the more-than-human world. I’ll post up more information later in the year; it’s going to be a wonderful project. Recently, I’ve been delivering some school workshops for Bristol City Museums Service alongside the Grayson Perry exhibition The Vanity of Small Differences – which tell the story of Tim Rakewell though six splendid tapestries. We’ve been exploring taste, class and Stuff, enjoying those details of our material lives which can say so much about us. Finally, this week I became a Dementia Friend – having been on the training with some fellow artists at Bristol City Museum & Art Gallery. This is ahead of workshops we’ll be delivering for those living with dementia, around the paintings there – particularly Saint Luke Painting the Virgin and Child, recently acquired by the Museum in collaboration with others. Further updates a little later in the year. *NB: this is a joke, to try and alleviate some of the horrors of the current Brexitocalypse we’re experiencing. For an eightfold Hi Hi! The pirates looked less intrepid. Yes, it’s very much like this one. Yesterday, I ran a group with some young people in which we looked at Wallace Stevens’ ‘Thirteen Ways of Looking at a Blackbird’. Which gets used less and less. Takes its power from the mains. Evil through the coffee grinder. The skill game where you’re the doctor! My, it’s getting late. Which might be why day three turned out quite so peculiarly (sorry not sorry). That’s my ‘excuse’ anyway. a burning tyre for a mind? A poem of mine, ‘Hands’, has just gone up on Folia Magazine online – you can read it here. The poem came out of a workshop a couple of years ago in Leeds, with writer and facilitator Rommi Smith. The starting point was smells – for me, the Vaseline Intensive Care in the first stanza (with the second part leading on from that). Folia’s aim is to “foster a deeper appreciation for the poetry of life, death, and medicine” – which was why I submitted this piece. It’s a poem which moves around in time, with a childhood memory of driving in the car with my Mum (and her hand cream), juxtaposed with a later conversation about her going through chemotherapy. I hope my Mum doesn’t mind this being ‘out there’; in some ways it’s not my experience to write about (though the conversation was, I guess). She dealt with the process of treatment with incredible humour and courage – so I hope the poem evokes this powerful being, who can (and does) deal with whatever life throws at her. This week, I noticed that there’s a whole array of computer games ‘Speed Runs’ (which you can peruse here) – where people screen-record themselves doing a game really fast. So I started writing around a particular game on there to see what happened – but moved on to other remembrances of computer games from my life. Gaming might not seem like an obvious source of poetic inspiration – but I and many others spent a significant amount of time on Resident Evil, or Super Mario Bros, or – as in this poem – Sonic The Hedgehog. I’m also reading Double Bill: Poems Inspired by Popular Culture – so perhaps that ‘zooming in’ on a particular pop-cultural facet of life and seeing where it takes you was on my mind. The surname bristles too close to my pew. for a hedgehog charity (instead of flowers). diluted curiosity and cat food there, under analogue flash. you could curl into a ball and smash through walls. Over the last year, I’ve become more interested in the interplay of video, poetry, video-poetry, poetry-video, film-poetry, poetry-film – or however you’d like to label it. As a poet who loves film, it’s a rich and fertile inbetween space. There are an incredible amount of free film resources out there to choose from, so in putting them to use as as source material for creative writing, I hoped I might be able to share some of them with you. with this bloody morning city. and you’re building it up. and there’s never a tray. This is from the https://archive.org site, which contains an amazing range of film resources – have a look! What Does Arts Award Mean? 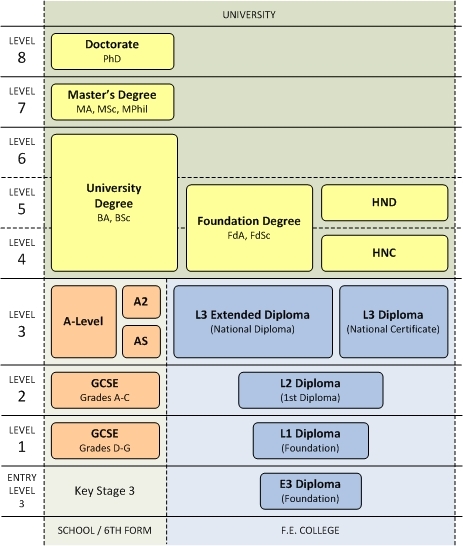 Having had an enquiry about it, I thought it might be useful to post this diagram which explains the Arts Award and what it means in the Qualifications & Credit Framework (QCF). The Award comes in a few different levels, from ‘un-credited’ (Discover), to Entry Level 3 (Explore), Level 1 (Bronze), Silver (Level 2) and Gold (Level 3). I hope it’s useful! Drop me a line here if you’d like any more information. ‘Chainmail’ Poetry School Project – Pamphlet Goes Live! Our Poetry School Microcommission, Chainmail (for Nicky Morgan) is now in a wonderful PDF flicky book on their website – you can read it here. It’s been an interesting process and the publication is intriguing and eclectic. We hope you enjoy it!